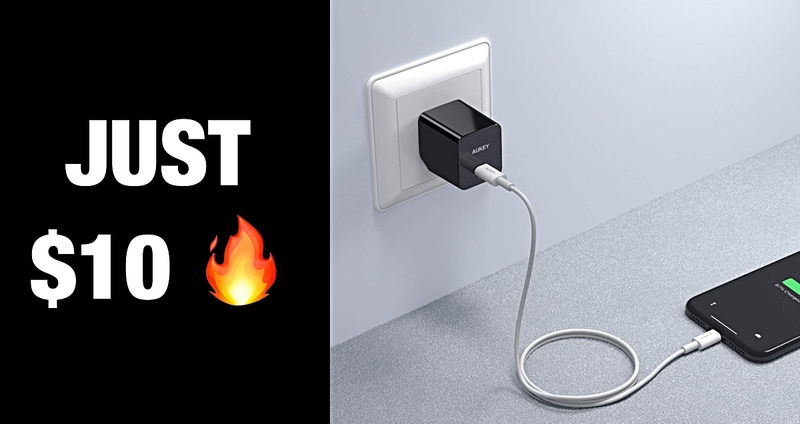 Our friends at Aukey make some of our very favorite charging accessories, and they’re responsible for getting power into many of the gadgets we have here, so when we hear about the company offering one of its best chargers at a super special discounted price, we just have to share it with you guys. 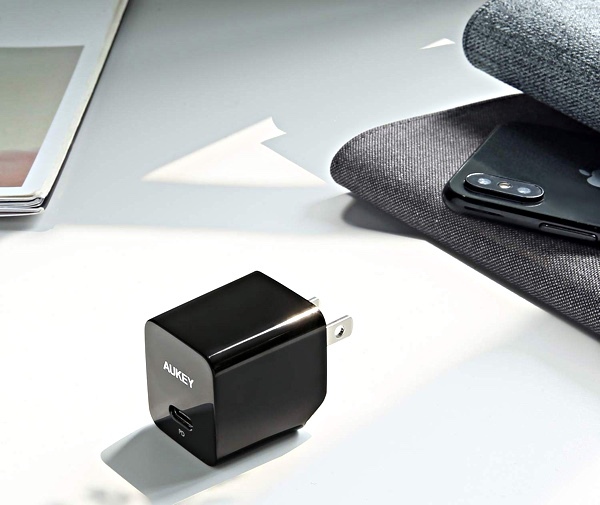 That’s exactly what is going on today because if you need to get power into a smartphone, fast, you need to pick up the Aukey USB-C 18w charger. While you may think that you know all you need to know about this charger just from the name, you’re very much mistaken. Yes, it’s a little charger that has a single USB-C port on its rear end and can provide juice to anything with a compatible cable. That includes iPhones, Android phones and the Nintendo Switch, but there’s so much more to it. Note: This offer will expire on the 8th of October. You have plenty of time to pick this charger up for just $10! How about the fact that it supports USB Power Delivery 3.0? That’s the reason this thing can charge anything up to 18w and the reason your Switch will charge just fine although not quite at full speed. But hey, any speed is better than no speed, right? The features keep on coming, too. This charger has folding pins, just like some of Apple’s best chargers of yesteryear, meaning when it’s not in use it can be tucked away without any problems. There’s certainly less chance of you standing on this charger and doing yourself an injury! It’s also great for traveling. Of course, all of this is backed by Aukey’s 24-month warranty and a 45-day money back guarantee should there be any issues. Add all that to the special price we’re about to share, and this thing is pure gold. So, how much is it? That’s a very good question! At the price of just $10, you really ought to buy two! I bought a bunch of Aukey stuff a few years ago and it’s all been problematic. I had 2 of their smaller 2 port chargers and both developed a condition where they would pop and click like there was some sort of electrical short in them. Aukey replaced one of them with a newer 3 port charger that fell apart and left one of its prongs in an electrical outlet in a hotel after a few uses. Neither product is available on Amazon anymore so I can’t even leave bad reviews. I also had a power inverter for the car that blew a fuse the second I plugged it in. When I replaced the fuse and I used my friend’s power inverter it worked fine. Better off spending a few bucks more and getting a quality charging brick.